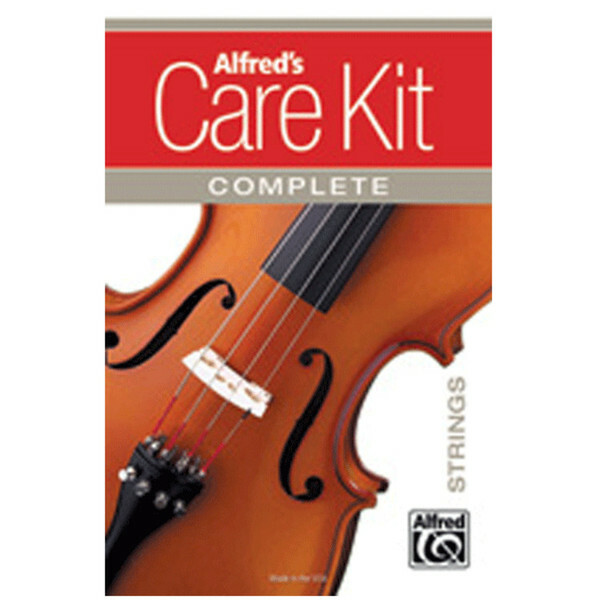 Includes Untreated Polishing Cloth, Plain White Hanky (no string), Violin Polish, Dark Rosin, Insert & Instructions The Strings Care Kit assembles everything you need to properly clean and maintain your instrument, featuring the best music-educator-approved cleaning products carefully selected to create one quick and convenient package. The Alfred String Instrument Pack contains all the essential bits and pieces that a strings player needs to keep their instrument in perfect condition. A selection of cloths along with a plain and rosin make cleaning the instrument nice and easy. This, combined with a selection of Luthiers Choice items, ensures that the instrument and accessories are kept in pristine condition every time.